With sonorous cadences, with relentless honesty, and with deeply human truths, as well as deeply human humans infusing her poems, Maria Nazos has written a stunning first collection. Godspeed (like a bolt, like a bullet) A Hymn That Meanders into the world! Thomas Lux, author of Particles: Poems, The Cradle Place, The Street of Clocks, and New and Selected Poems, 1975-1995. Maria Nazos's first book successfully depicts an 'us' whose lyric motion is equal parts devotional and destructive but never accidental. This is grown-folk poetry, up front and adult, and there is not an ounce of surface-utterance in A Hymn that Meanders. Thomas Sayers Ellis, author of Skin Inc: Identity Repair Poems and The Maverick Room. 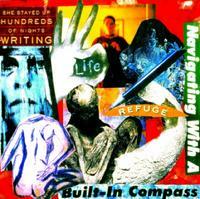 Poet Maria Nazos was raised by a sea captain and speech pathologist in Athens, Greece and Joliet, Illinois. She received her MFA in Writing from Sarah Lawrence College. Her chapbook, Trailer Park Heart, was selected by Marge Piercy as runner-up for the 2010 Providence Athenaeum Philbrick Poetry Project Award. She has received scholarships from The Provincetown Fine Arts Work Center, The Squaw Valley Community of Writers, and a fellowship from Vermont Studio Center. Her work won the Fall 2009 Poetry Competition held by The Alabama State Poetry Society. She attended the Iowa Writers' Workshop. Her work is published or forthcoming in Inkwell, The Saranac Review, The anthology Wait a Minute, I Have to Take off My Bra, The Neuropsychiatry of Poetry, The Boxcar Poetry Review, The Chicago Quarterly Review, Poet Lore, The New York Quarterly, Harpur Palate, The New Plains Review, The Sycamore Review, Main Street Rag, The Dead Mule School of Southern Literature, Tar River Poetry, and the anthology Double Lives, Reinvention & Those We Leave Behind. She lives and writes in Provincetown, Massachusetts when she is not studying for her doctorate in creative writing at the University of Nebraska-Lincoln. 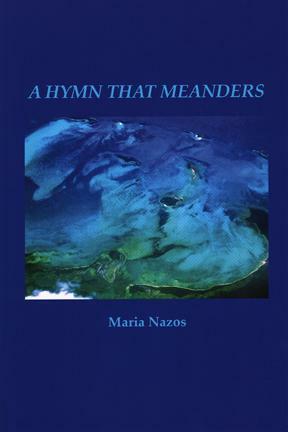 Her first poetry book, A Hymn that Meanders, was published through the Wising Up Writers Collective. www.marianazos.com.